Brand new apartments, in a quiet and sunny location with a beautiful view of the Lagorai mountains. The residence is located 1,5km from the centre of Cavalese, in the location Marco, and is close to the ice skating rink, the swimming pool and the cable car to the Cermis ski slopes. The residence has a terrace, garden, uncovered parking, garage, communal laundry room and ski storage room. 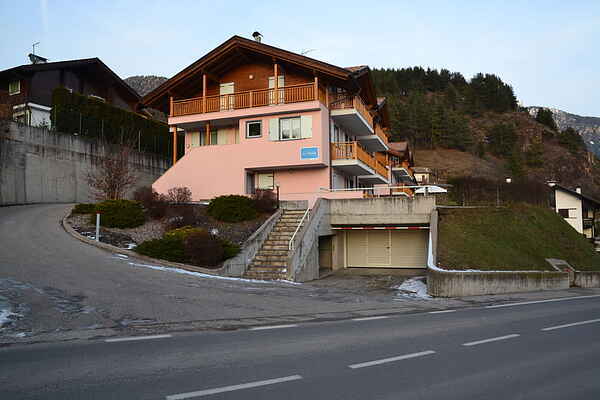 The residence is 800m from Cermis - Val di Fiemme - Obereggen slopes and the Ski bus stops in front of the residence. The apartments offer bright and comfortable living rooms and have classic Trentino decor, for maximum relaxing time. The apartments are fully furnished and offer a satellite TV, a modern kitchen equipped with fridge, stove (no oven) and all necessary cooking equipment. The cleaning of the kitchen is the clients’ responsibility. The disposition of the beds in the apartments can be different from the description.